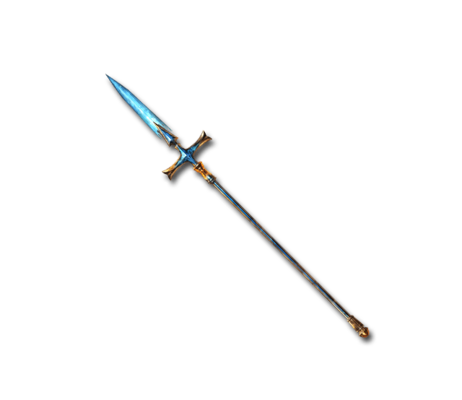 Held aloft, this azure blade may seem so sublime as to be an illusion. But anyone it pierces is sure to believe it's real. Sanctified Impact Big Earth damage to a foe.